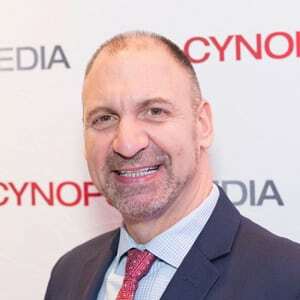 Anyone who’s anyone in sports media was at the New York Athletic Club on Central Park South Thursday to honor the winners and honorable mentions at the 7th annual Sports Media Awards Breakfast. The event attracted a record-setting group of the sports community elite who cheered each other on as they were awarded and lauded in a lively two-hour ceremony. Mayweather vs. McGregor PPV – Showtime Networks Inc.
All Access: Mayweather vs. McGregor – Showtime Networks Inc.
Prison Fighters: 5 Rounds to Freedom – Showtime Networks Inc.
Mayweather vs. McGregor – Showtime Networks Inc.
WNBA - Watch Me Work "Your Move"
Inside the NFL "Microphone Mascot" – Showtime Networks Inc.
Brian Dailey, Vice President, Sports Digital Content Development & Strategy, Showtime Sports & Event Programming – Showtime Networks Inc.
C360 Immersive Video Camera Solution – C360, Inc.
To order, fill out this form and email cathyp@cynopsis.com.